Almost towards the end of mango season this year and not even a single mango post from my side. Unfair, right? 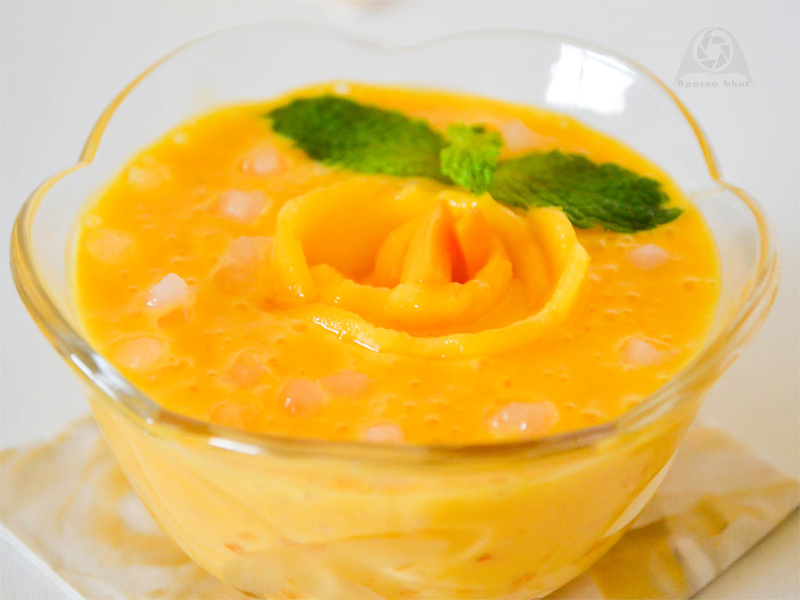 I did prepare mango icecream, mango flavoured lassi and the recipes have been lying in my drafts, but today its mango sago pudding which I thought should be published before any of my other recipes. And why is that because more than the recipe I am excited to inform all of you that the wait is over and my dear friend Archana [remember her guest post on Pomegranate sheera?] finally has ventured into blogging world. Do visit her space at Kitchen Tales and read about the healthy tales from her kitchen. Wishing my friend a wonderful and colorful culinary journey ahead ! 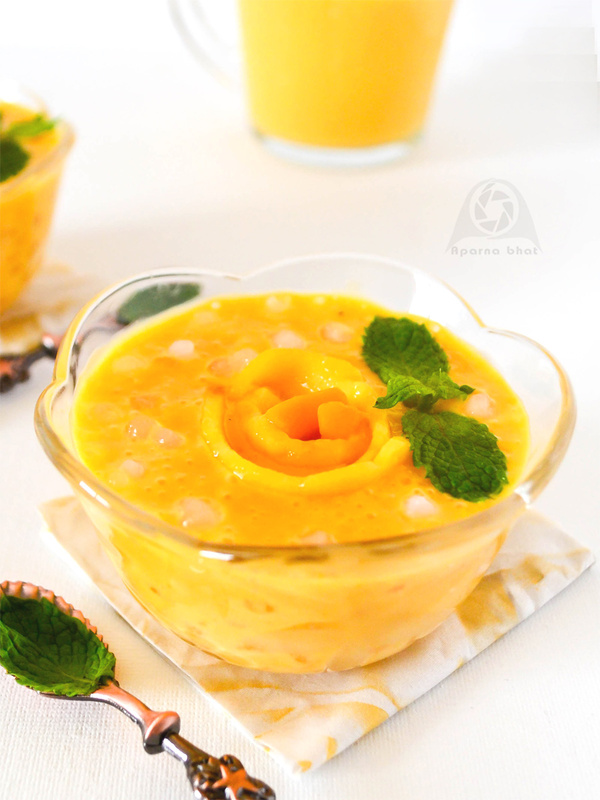 Though long back, I had bookmarked a recipe for mango sago pudding prepared from coconut milk I didn't get chance to try it as mangoes were out of season. 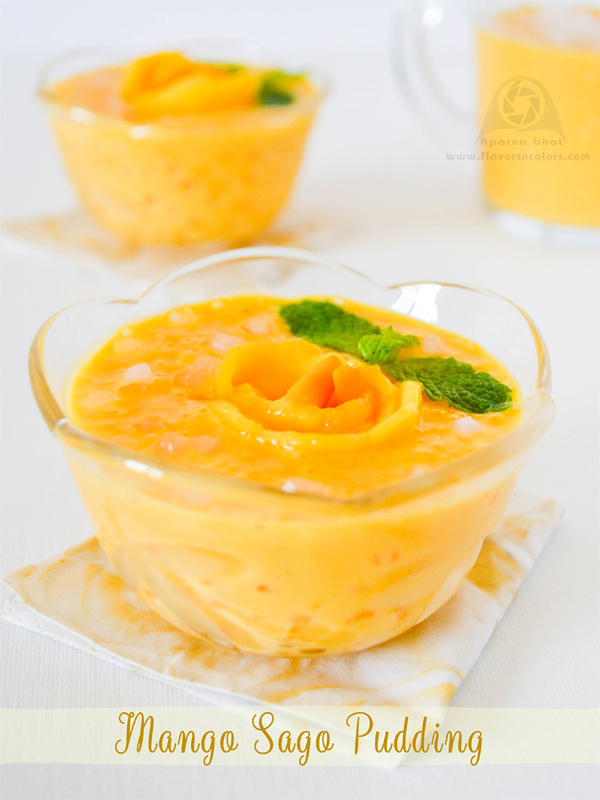 While browsing through Archana's blog I found her recipe for mango sago pudding to be quick and easy, moreover the ingredients were sitting in my pantry while I was reading her recipe. So I immediately tried it at home. The only extra step was addition of cardamom powder. This dessert is definitely a crowd pleaser and one more way to enjoy king of fruits when in season. 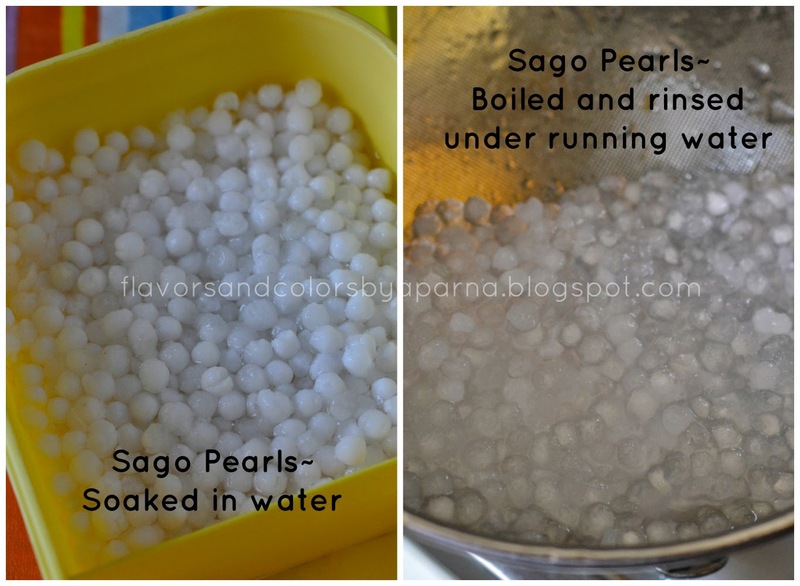 Wash, clean and soak sago pearls/sabudana in enough water for an hour. Wash and rinse it once again, and boil it in 2 cups of hot water. [ I added 1 tbsp of sugar while boiling this pearls]. Once they turn transparent, switch off the flame. Drain the water and hold the strainer with pearls below running water. Keep it aside. Peel the mango and squeeze out the fruit pulp. [You may also use canned pulp or frozen pulp]. Mix it with milk, condensed milk in a blender and blend it to smooth paste. I preferred to keep the consistency thick. You may add more milk if you don't prefer the paste to be thick. Transfer the paste to a big vessel or serving bowls. Mix in boiled sago pearls and give a nice stir. Refrigerate it [ I kept for 30 mins only] and serve it chilled after garnishing with mango cubes/mint leaves/ chocolate lace. If you don't have condensed milk you can use evaporated cream + sugar. Love all mango dishes! This looks awesome and captivating pictures as usual!